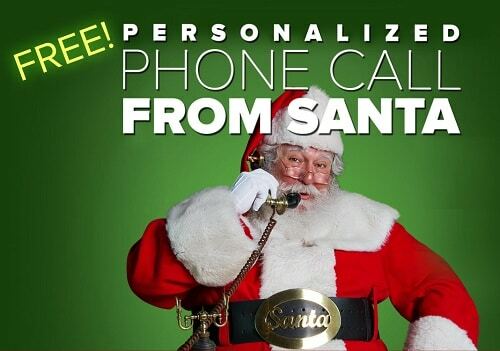 Would your kiddo love a personalized phone call from Santa? Head over here to get one for FREE! You will need to select a personalized greeting, answer a few quick questions about your child, and choose the time you want the call! Unique Santa messages to choose from! Such as Before Christmas, See you at the Mall, Great Seeing you at the Mall, Christmas Eve, After Christmas, Naughty List, Birthday, Accomplishment, Apology and more! Mentions your child’s age, state/country, and more! 34 Greetings to choose from, with custom call screens!